Payment made from 4th September, attracts the full amount. Looking forward to experiencing a new dimension of growth in my business after attending this conference. Looking forward to this conference. It promises to be mind blowing. Thanks Fate team! I am really exited about this…. I am really exited about this! Thank you for reaching out. Our current open programs are targeted at those who have completed a tertiary education. Our NEXT Economy program will be most suitable for you. Please subscribe to our newsletters and follow us on social media to get information when it opens up early next year. Good platform to learn, develope new skills and collaborate. I paid for the conference in August and am looking forward to be part of the entrepreneurial revolution. 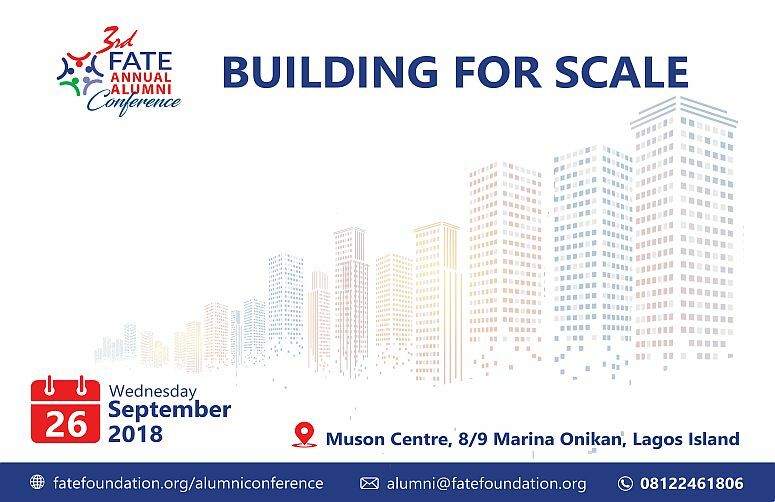 Can someone who’s not an alumni of Fate Foundation register and attend?